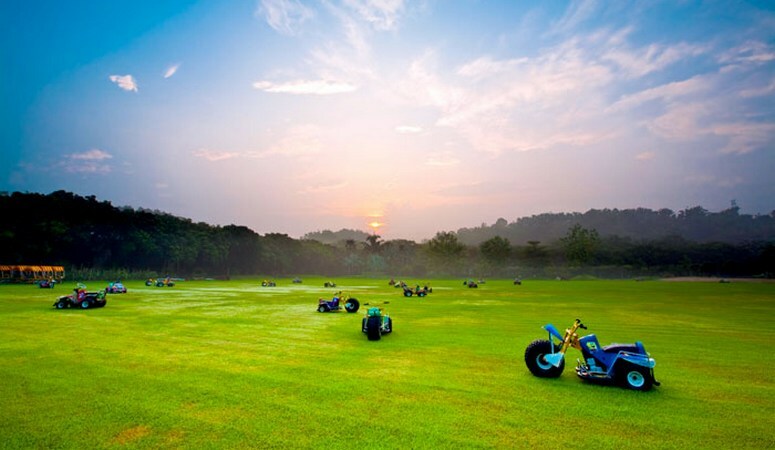 Nan Yuan Garden Resort Farm is located on an area of over 30 hectares in Liuying District of Tainan City. The farm is divided into three ecosystems and 91 scenic spots.<br/><br/>The forest ecosystem has more than 2,000 polar, temperate, and tropical plants, over 200,000 tall trees, and a 10 km-long forest trail. The farm is its own large biological kingdom!<br/><br/>The lake ecosystem has six natural lakes where you can fish, take a boat ride, see the waterfall, play golf, and see over a hundred rare birds.<br/><br/>The farm ecosystem also includes green grasslands where you can run and fly kites. The Taiwan Island imitates the geology of the whole of Taiwan with flowers and plants representing each county, city, and river, great for educational field trips.<br/><br/>The Evergreen Restaurant features unique dishes by Nan Yuan Garden Resort Farm. You can taste Jiangnan-style cuisine, such as the Autumn maple tree chicken, fried manjack and spleenwort, steamed Marble Goby, and skygazer with bamboo.